The picturesque cascades of Bambarakiri Ella at the northern slopes of the Knuckles mountains are less frequented by foreign tourists, though a simple guesthouse is close-by, the Bambarakiri Ella Holiday Home. Tourists travelling to Riverstone for trekking in Knuckles Range or to the south entrance of Wasgamuwa National Park for a safari tour sometimes take a break at the enchanting Bambarakiri Falls, The name, also spelt Bamarakiri or Bamabarakiri, translates to “wasp’s milk”. Bambarakiri Falls are situated only 200 m away from a bend of the Matale-Pallegala-Hasalaka mountain road (B274), 5 km uphill from Rattota. Distance from Matale, the district capital at the Dambulla-Kandy road, is 16 km by road. Actually, there are two waterfalls, the smaller one is a little bit hidden in the forests. 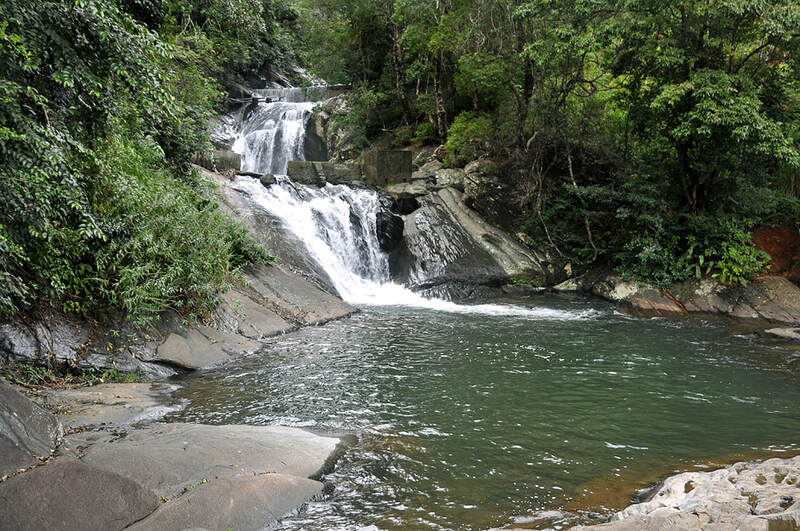 The name of the second falls is “Kuda Bambarikiri Ella”, „Kuda“ meaning just „little“. The banks of Bambarakiri Ella are a nice spot for a picnic in the jungles. 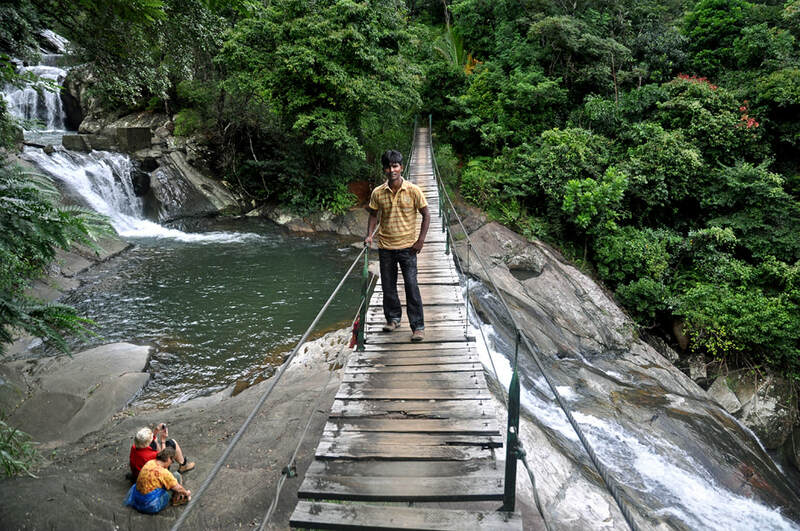 A rope bridge spanning the pool of the falls adds to the beauty of the scene. The waterfalls consist of three cascades, the tallest slope is just below the natural pool at the suspension bridge. The escarpment at the edge of the pool is the reason why bathing is dangerous here. In May 2002, 17or 18 people died while bathing in the pool, maybe due to a panic after a sudden rise of the water level. Altogether, three dozen fatal incidents are said to have occured at Bambarakiri Falls during recent decades.